Nick Johnson is constantly overshadowed on the basketball court. At Findlay Prep last season, he played alongside Texas signees Cory Joseph and Tristan Thompson. 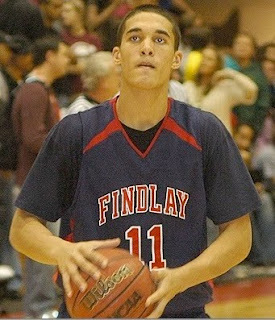 With the Oakland Soldiers on the AAU circuit, he is teammates with five-star prospects Jabari Brown and Kyle Wiltjer. Typical with his easygoing personality, though, Johnson does not mind one bit. Despite not being the main option on his team, Johnson’s recruitment has picked up heavily since Findlay won the National High School Invitational and the Oakland Soldiers rolled through the first two sessions of the NIKE Elite Youth Basketball League at 7-2. To read the rest of this story, check out the NBE Basketball Report.